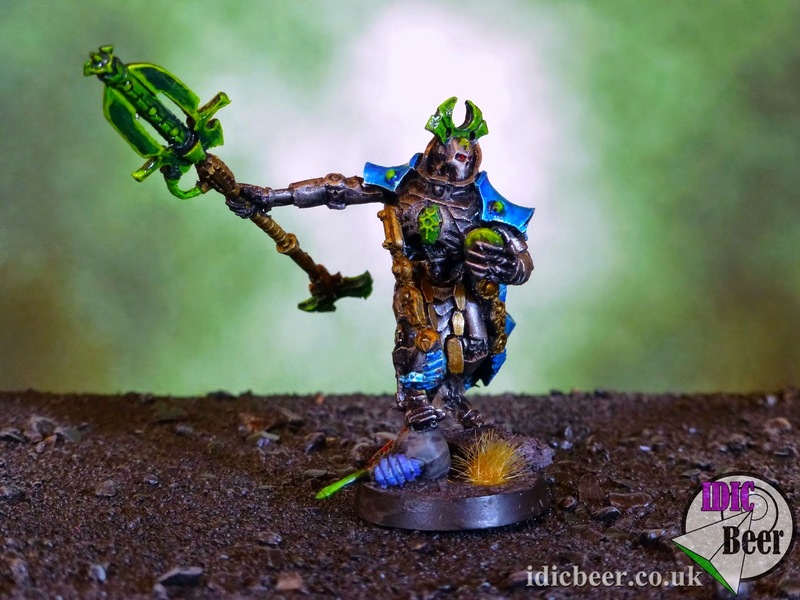 Time to have another look at my Necron Flayed One Themed Army once again and see what I can do with it with the new Codex! With Flayed Ones getting a nice buff with an extra attack and the Shred special rule, I have to say I am very excited about my army now. Not only that but with the new Decurion Attachment availble to me, my sixty Flayed Ones can have a 4+ RP roll without having to have a Destroyer Lord joined to them. 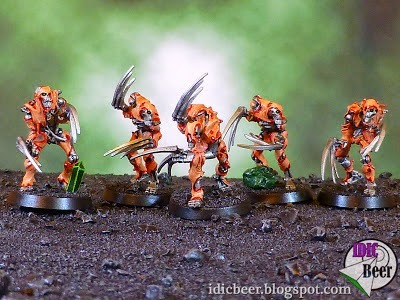 With no points change to the Flayed ones, I will start with the Reclamation Legion part of the list, and particulary the Canoptek Harvest Formation, which has the units I need to make the list work just as it did before. As a recap, that was two units of Scarabs and a unit of Wraiths to move up with the Flayed Ones who infiltrate forward. The whole list is about the Flayed Ones, so all the Scarabs and Wraiths are there just for the distraction. To keep the same units in my list will mean two Harvest Formations, and although I would love to have two units of six Wraiths, I only have six models in my collection, so that has dictated that I will have to go for two units of three for now. I will still run them side by side as if they were one unit on the table, and they will work with the two larger units of Scarabs. Of course, the Spyders will be issuing them all with RP for as long as possible. This brings me onto the Reclamation Legion Detachment. Previously I was using the bare minimum of troops so that the points can be put into the front ranks to make the list work, but now I will have to take two ten man Warrior squads and five Immortals. 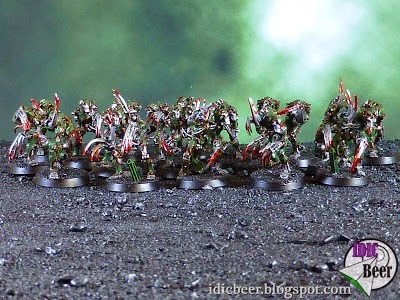 I also have to take Tomb Blades, which I am fine with, they are super cheap now and will work well with the list giving me a little up front shooting. Now, with the two additional Spyders, increased points on the Scarabs, more Warriors and the Tomb Blades, I really do not have many points left for my HQ! I used to take Imotekh as my HQ, taking advantage Night Fight, but at the moment I can't see how I can get him into the list. So with the few points I have left I will just run with a very basic Overlord. He won't do much except sit at the back with the Immortals and Warriors and try and give those re-rolls of failed RP rolls of a one as best he can.